Jo Bole So Nirbhay Jagatguru Satguru Valmik Maharaj Ki Jai! knowledge in religion, music, verse, science, languages, as well as mental and physical fields. In fact Bhagwan Valmik Ji became such a highly respected and renowned poet that all other poetry writers would consult him on works in verse. It is because of this that Bhagwan Valmik Ji is also known as VAYAKARAN (GRAMMER) VALMIK. SHRI RAVINDER NATH TAGORE, very well known, popular modern day poet states categorically in one of his books that Bhagwan Valmik Ji was the first poet (AADHRAVI) of the world. As mentioned Bhagwan Valmik Ji wrote his RAMAYAN story in verse form, from which all the other authors of later RAMAYAN stories obtained their ideas from the original work. TULSI RAMAYAN is a classic example. The late Pandit BAKSHI RAM states in his book that Bhagwan Valmik Ji was born some 4000–5000 years ago in VIBVARY NAGRI near Multan during the month of October on PURAN MASHI (full moon). khat karam kul sanjugat hai har bhagat hirdai naahi. ray chit chayt chayt achayt. Be conscious, be conscious, be conscious, O my unconscious mind. Why do you not look at Valmik? ajaamal pingulaa lubhat kunchar ga-ay har kai paas. Ajaamal, Pingulaa, Lodhia and the elephant went to the Lord. Bhagwan Valmik Ji’s MAHA RAMAYAN (YOGH VISHISTH) and RAMAYAN (RAM KATHA) are both considered to be the greatest works of poetry of all time. 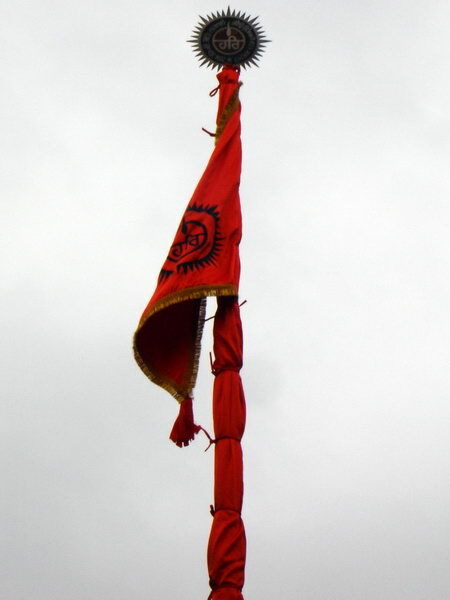 They are considered to be the shining pillars of religious works in Indian civilisation. These two great works by the first poet (AADHKAVI) leads humankind towards peace of mind, unity and fraternity. It is also said that these great works of Bhagwan Valmik Ji were written on BRAHMA Ji’s advice. Rishi Bhardwaj was Bhagwan Valmik Ji’s first disciple, who achieved final liberation (Mukti, Moksha), followed by King ASHTARNEMI, Lord SHIV, Lord RAM and many others. 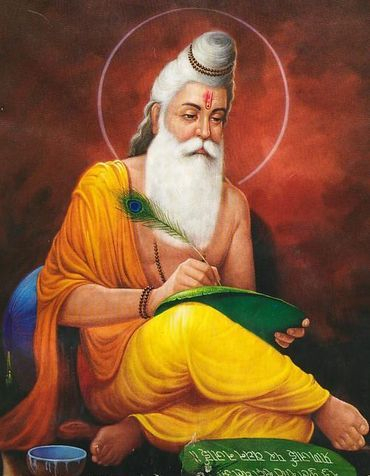 And because of this Bhagwan Valmik Ji he has been called by several names such as AADH KAVI (first poet), MUSIC MASTER, AATAM DARSHI (Self Knowledge) BRAHAM GYANI (Knowledge of God) and MAHA MUNI (Great SAGE). The writer MURARI JI describes Bhagwan Valmik Ji as the indicator of Godliness and the writer KALI DASS refers to Bhagwan Valmik Ji as JAGAT GURU (World Guru). Bhagwan Valmik Ji was and is held in such high esteem that even Lord Krishna attended and washed his feet during PANDAV JAGYA. It is also a well known fact that during the past hundreds of years, the facts and truths regarding Bhagwan Valmik Jiand and his works have sadly been distorted and incorrectly represented. The truth is always known to rise above falsehood, no matter how hard irresponsibility may try to keep it down. No particular sect or belief that resorts to manipulating the facts and truths can hope to survive. In these modern times extensive research has been possible, from which has emerged the true facts of history and the realisation of those that have misled spiritual aspirants for many generations. Intellectual youngsters of this day and age, whose open hearts and minds seek to understand the real truths of their past history; now have access to a vast array of genuine research material to understand the truth.